OME Shear blender for in-line mixing, blends products quickly and consistently. Compared to conventional methods, the shear blender shortens processing times significantly. 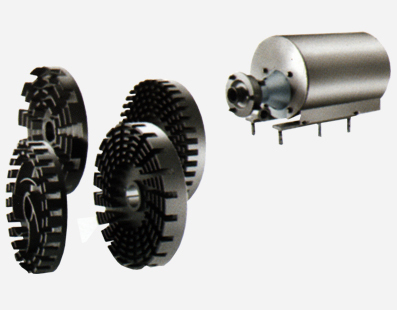 The shear blender’s rotor-Stator design eliminates unblended product and prevents lumps and masses in product for consistent, repeatable results. OME OSH series sanitary blender, designed for easy maintenance and less parts inventory, retains the standard established with our high performance centrifugal and positive displacement pumps. Featuring an front-loading seal, the FS allows production personnel to service the pump in place. The design of the Pump meets the most stringent sanitary standards. Its internal seal performs at virtually any pressure. Pune – 411 033, Maharashtra, India. Works : C/o. S. V. Engineering Compound, S. No. 170, Dnyaneshwar Colony, Akurdi, Pune – 411 035, Maharashtra, India. Pune – 411 035, Maharashtra, India.